This topic has 32 replies, 4 voices, and was last updated 1 day ago by johnjn2000. I’ve taken this verbatim off a Brighton facebook group. It’s about an injured rider but how he was injured really could be any one of us – clipped a tree with the end of his bar and crashed. Now he’ll spend his life in a wheel chair. You may have seen a few weeks ago reports of a rider injured on Malcolm Brenner at Stanmer and the efforts involved to extract him from the woods. At the time we asked for some space for the rider so that he, his family and his friends could all come to terms with what had happened and for his injuries to be assessed and treated. Unfortunately Chris, who fell after clipping his bars on a tree, suffered a broken spine and is now paraplegic. After some time at St Georges hospital in London he has been transferred to a specialist spinal injuries rehabilitation centre in Stanmore where he can learn to live with his injury. Chris has been incredibly accepting of his injury and it’s implications and is determined to create a life for himself and his family that is not defined by his condition. We want to help Chris as much as we can both emotionally and with what he needs physically to live without being able to use his legs. One thing Chris would like is an appropriate wheelchair of his choosing. 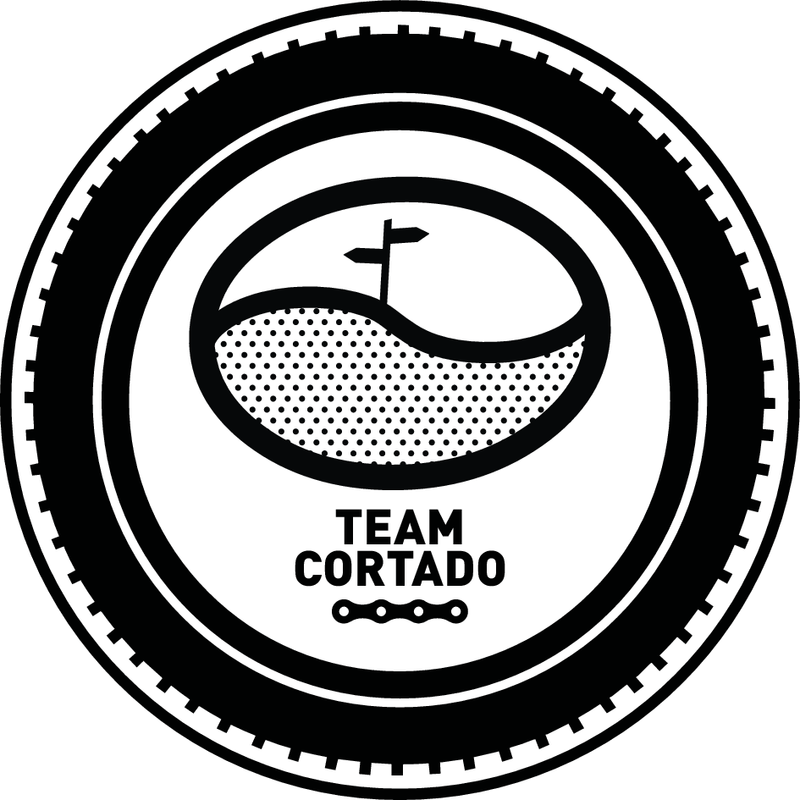 Firstly, we’ve created a group called Team Cortado (Chris’ favourite coffee) to use as an umbrella for fundraising. Rich Mitch (@rich_mitch on Twitter) has created a logo for us reflecting Chris’ love of the South Downs, mtb and coffee. the design is below. 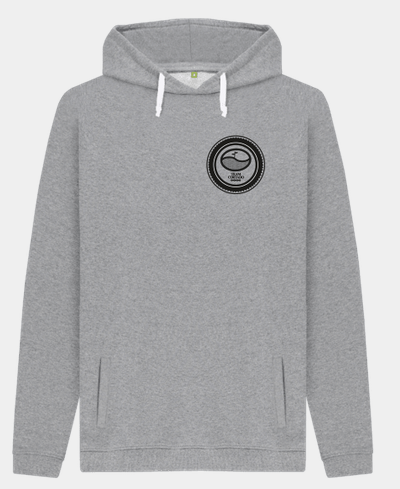 Second, there are Tees, Sweats and Hoodies available with the logo printed on in various sizes. These are organic cotton and very good quality. They are printed on demand (so we don’t have to buy and manage stock) and £2-£5 per sale will go to Chris. 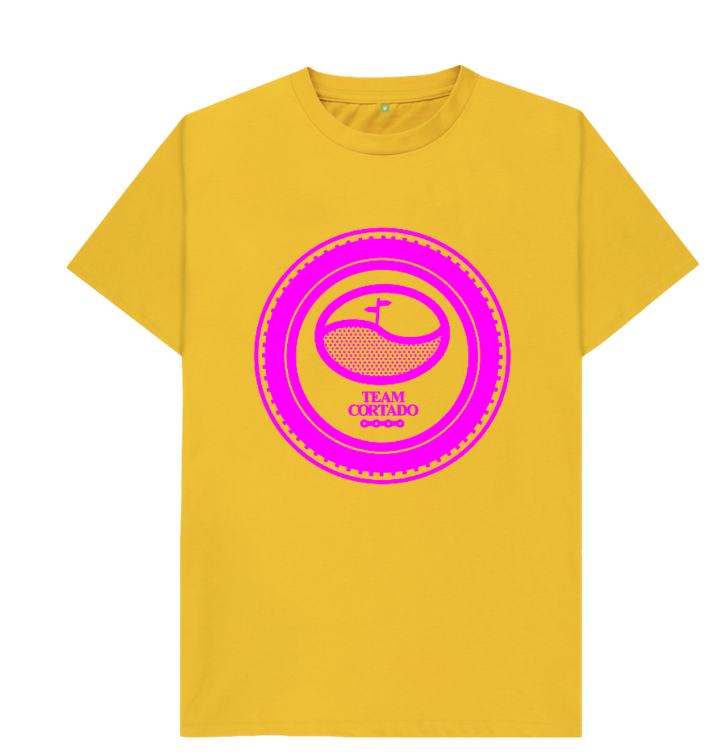 Have a look at what’s available here: https://teamcortado.teemill.com/ there’s a selection of styles colours etc but if you’d like a specific logo/tee colour combo that’s not listed we can create new ones easily and place them up for sale – DM me if you want anything specific. We’ll add to this over time and may also produce some event specific designs. If you click on a style/design there is a choice of colours for each. There’s mens and womens garments on the site. As an additional incentive to buy now all items bought from store are free postage until midnight on Sunday! Third, events – we’ve got a couple of things planned: a day trip to France from Newhaven in mid-May where we’ll try and ride for 150 miles and also a South Downs Way in a day ride in early June. We’ll be asking people to make donations in support of those riding. We’ll also be looking to put something together around Big Dog to raise money (the organisers have agreed that they will help out with publicity). 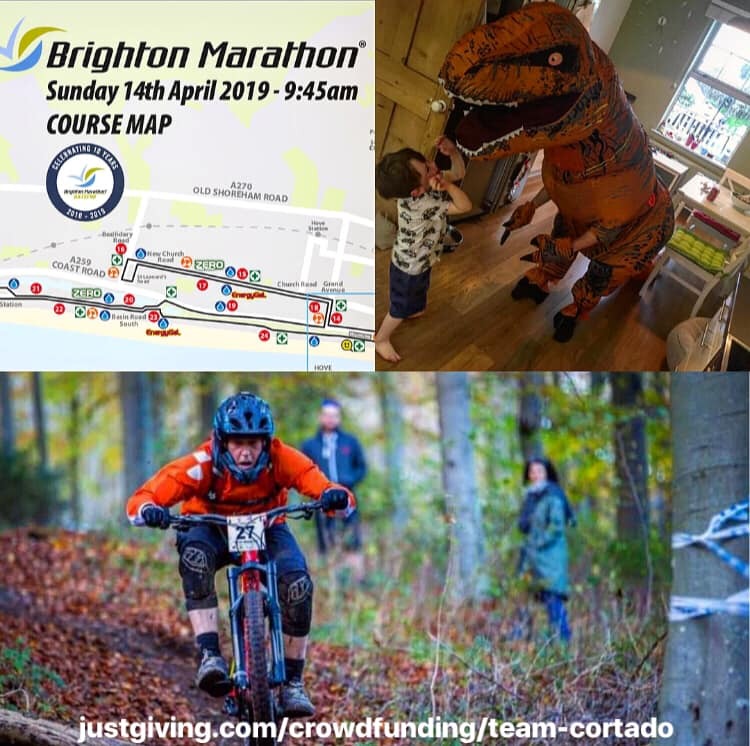 Fourth – a justgiving page https://www.justgiving.com/crowdfunding/team-cortado this allows you to make a donation that will be used to help Chris as he adjusts to his injury. We’ll keep you updated as time goes on and further events etc occur. Saw the FB post, will buy a T and chip in on the justgiving page. Donated. There but for the grace of god..
Can mods make this sticky? Pretty meaningful to me. I’ve been off the bike since August after ‘exploding’ (my surgeon’s words) my shoulder in Stanmer. Will buy a T-shirt. Donated. Terrible thing to happen, could be any one of us. Thank you to everyone who’s donated or bought a t-shirt – we’ve raised over £1600 in donations and made loads of t sales in 24 hours. Donated. Awful accident and as above it could happen to any of us. I meant to donate a few days ago but didn’t get around to it, then had my off at Foel at the weekend which reminded me how easily this could be any of us. Donated…! Thank you again to everyone who’s donated or bought a Tee – we’ve raised over £2800 since Friday – from this post on here, a few tweets and a local FB post. I think the whole cycle community can see themselves in Chris position and, even more, want to help someone who finds themselves where he is. Genuinely, I’m overwhelmed with the support we’ve had and I know Chris is too. Donated. So close to home. Just over a year since I broke my back but I got lucky. Thinking of you Chris. Keep strong. Just received the hoodie I ordered. As if going to a good cause wasn’t enough, it’s excellent quality. Good on you Wwaswas for sorting. Feedback on the actual garments has been very positive – I think going with a quality product was worth doing. wait4me – thank you, so many of us had injuries that could have ended up far worse but for, basically, luck. I know Chris is touched by all of the messages of support he’s received as well as the donations made – it means a lot to him that his fellow riders are with him. Thank you, from all of us who want the best for Chris. Donated. Wish him well from us and well done for sorting this out. 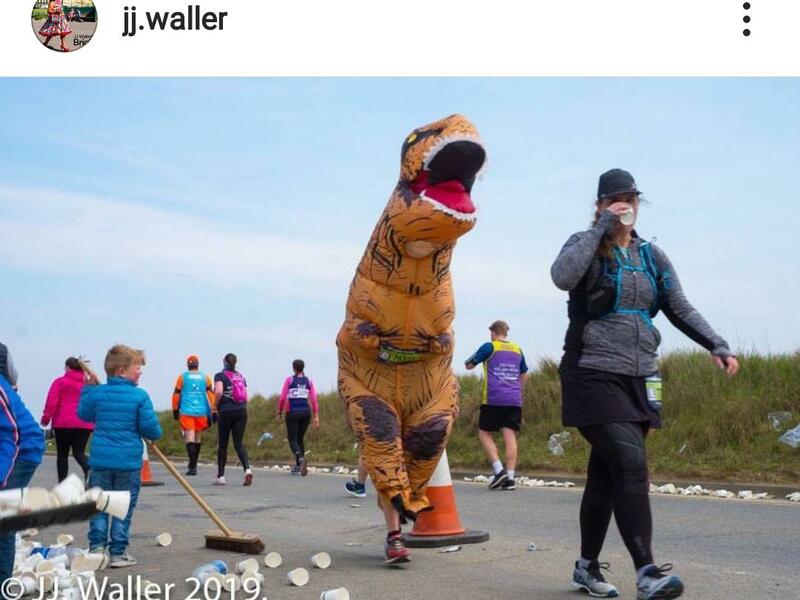 Robin, one of the people who rode with Chris, is running the Brighton Marathon next weekend dressed as a T-Rex to raise money. I think this act of endurance and daftness needs recognition so please give generously! thanks craig – I know Chris appreciates the kind thoughts that are behind the donations and that people give as much as they are able to. Any plans for the yellow & pink combo but with the small logo? Can take an hour or so to go live as they have to approve the design each time I add a product. Great, will get one ordered. Free pair of bamboo socks with all clothing orders over £15 at https://teamcortado.teemill.com from 9am Friday 19th until midnight Monday 22nd. Code SOCKY.